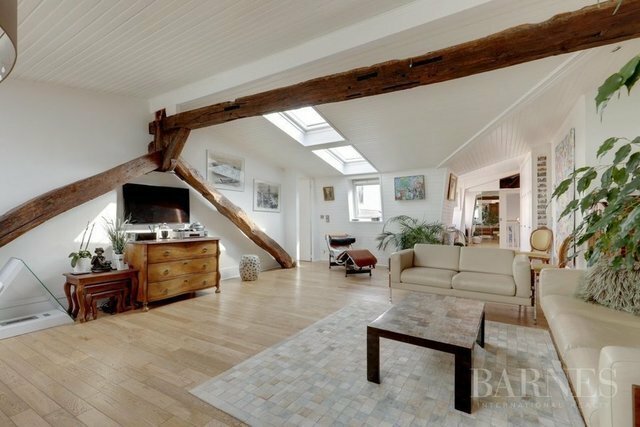 This 84 sqm apartment is on the 4th and top floor of a beautiful building located in the heart of Saint-Germain-des-Prés. It comprises an entrance hall, a big living room with an open kitchen, two bedrooms with their own shower room and a separate toilet. This exceptional apartment oozing with charm benefits from generously proportioned rooms and a sough-after location in the 6th arrondissement.